You deny that the planet is warming? I guess the conversation ends here. That's a straw man. I said specifically that natural processes still dominate changes on time scales that matter. On the surface, in the regions where most humans live. That's the part this thread is about. 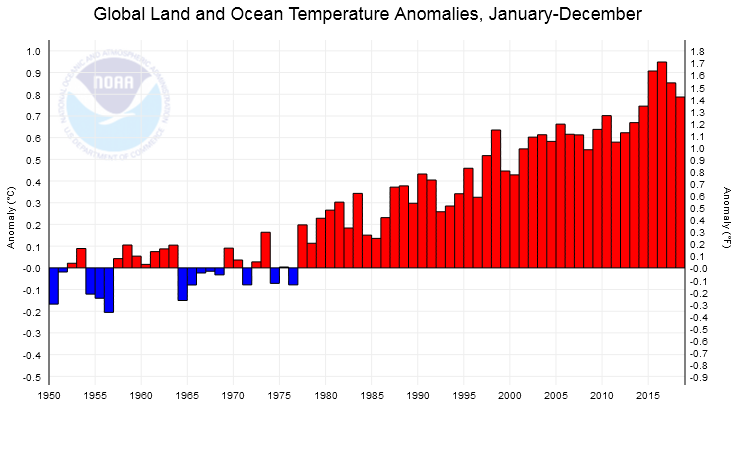 The global average has a warming trend, what does that mean for us. There is nothing hidden here, i was open about each aspect in the OP. I think you know that. Where are your scientific sources for that claim? I would love to read them. No "scientific sources" are needed to claim the average is dependent on the parts. That's the definition. The Average changes because of the changes in each individual part, not the other way around. It's not a hard concept to grasp. Global averages serve a specific purpose, they can't show which part has changed. You can only see which part has changed and when, if you look the data in more detail. There is no other way to start answering the questions that matter us. What can we learn from anomaly charts for 2 years? One thing I noticed during my examination of my local temperature trends is that anomalies, as in extremes, are certainly not indicative of the average. As an example, there was one bitterly (and I mean bitterly!) cold winter a few year back that showed up clearly in the data. January and February were well below averages for those months and there were many records set. That same year, the summer temperatures never hit triple digits either, which is somewhat unusual. Yet, that year averaged to be as warm as the ones before and after it. The remainder of the year was slightly warmer than normal and offset the extreme but relatively brief colder temperatures. When I see the word "anomalies," I start expecting incorrect assumptions since then. Anomalies are not averages, nor are indicative in any way of averages. They are abnormalities. I said specifically that natural processes still dominate changes on time scales that matter. 100 years matters to us. 200 years matters to us. 10,000 years, not so much. It means changing climates, changing agricultural patterns, a lot less rainfall in places, a lot more in others. It means rising sea levels with major impacts on coastal populations. What can we learn from anomaly charts for 2 years? Anomalies are not averages, nor are indicative in any way of averages. They are abnormalities. In this case they are the average deviation from a longer term average. As you say, it goes up and down. But the trend is not down, or level. So the trend is up. How much? Over what period of time? What form does the graph take? Is there a correlation? To what? To what degree? Is the correlation historically verified? Just saying "the trend is upward" actually tells very little about what the trend will be.